As a property manager, you play a crucial role in ensuring the safety and protection of owners and tenants. 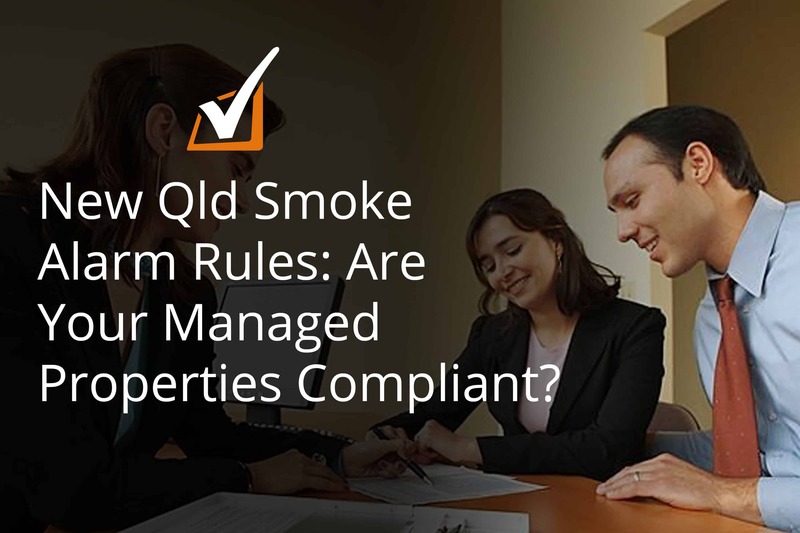 As such, they rely on you for advice on compliance with the new Qld Smoke Alarm Legislation and other relevant rules and regulations that could help mitigate damages to life and assets. As a trusted advisor, it’s crucial you have a good understanding of these changes and the choices available to your owners. This is not as simple as it sounds. To move forward with the transition, you need to coordinate with your owners and tenants. Your owners decide when to make the changes to the property to align but their decision can ultimately affect tenant satisfaction and the overall market appeal of the property. Transition period differs for properties depending on how they are used, renovated or sold. Sold – properties sold after Jan 1, 2022 must meet the new requirements at the time of the sale. The changes relate to the location of alarms but just as importantly, the technology used. Alarms today are far more reliable, so they’re less likely to sound falsely and are safer to dispose of. Added to that, with a non-removable battery that spans the life of the alarm, the chances of a flat battery or a resident removing a battery is eradicated, eliminating the single most significant factor in smoke alarm failure. be interconnected with every other smoke alarm in the dwelling, so all activate together. Now that you’re more familiar with the new Legislation, how can you better relay the information to property owners so that changes can be made on time? Communicate it sooner rather than later. It’s challenging to explain that a mandatory smoke alarm upgrade could cost your property owners a considerable amount. It’s even more daunting to convince them to transition sooner rather than later. However, putting it off and waiting until the last minute could result in higher costs and missed opportunity to spread the bill over time. It’s advisable to talk to your property owners now about the necessary upgrades if you haven’t already. Provide easy-to-read info materials to help your property owners better understand the changes in the new Qld Smoke Alarm Legislation. Communication is key to fostering strong client relations with your property owners. This is especially true when it comes to relaying information about the new rules. Have you sent them info materials about why they need to comply with the new Legislation? Have you given them a quick call to inform about the necessary steps to ensure compliance? If you haven’t already, it’s best to do it as soon as you can to convince them about the value of compliance. Safe Home Services has plenty of content prepared for emails and newsletters, so if you’d like a hand with this, click here to get in touch. Pick a trusted smoke alarm provider, who can help you with your transition strategy. Your choice of provider can affect the property’s transition. Choose a provider, who will help you tailor your message to educate your owners on the new legislation, why compliance is a must, and the necessary steps to take. With a trusted provider with professional knowledge and experience in implementing the new Legislation, you can help your owners make the right decision to upgrade sooner. Apart from assisting you with the messaging, a trusted smoke alarm provider will help make the transition process simple and budget-friendly. Most providers in the market install alarms in one go, which leads to a hefty bill for the owner. Others may offer payment plans that will ease the burden on the owner but will make the process more complicated for you. So, which smoke alarm provider should you look for? Choose a provider, who will make sure that alarms installed today are compliant with the new Legislation and can be interconnected with incoming alarms. This means the property can be fitted with new alarms each year (or a specific schedule agreed with you and the owner) until it is aligned with the new standard. In this way, the owner will only have to pay for the alarms as they’re fitted. The cost will be spread over four years, with simple invoicing. It’s a win-win for you and the property owner! At Safe Home Services, we provide you with a roadmap to make the transition to the new Qld Smoke Alarm Legislation easy and smooth for both you and your property owners. We ensure your managed properties are compliant over time, with just one significant cost. Are you thinking of shifting to a new provider or are still looking for a smoke alarm company? We are here to help! Click a button below, and we’ll get back to you shortly.